I know this blog is often used to share the many delicious foodie spots in the Limestone City. However, I need to burn the indulgent calories somehow! I’ve told you how much I love the Apex community and there are so many wonderful fitness communities in this town to discover. I was recently invited to Life Yoga in the east end (Gore Road) and it was filled with good vibes. I could tell this place is like the “Cheers” of yoga studios because Director Carly Stong seemed to know everyone’s name as they walked in the door. I love how diverse their classes are – I tried the stress relief class led by Carly and followed it up with Hip Hop Cardio with Jesse of ClosettCandyy! 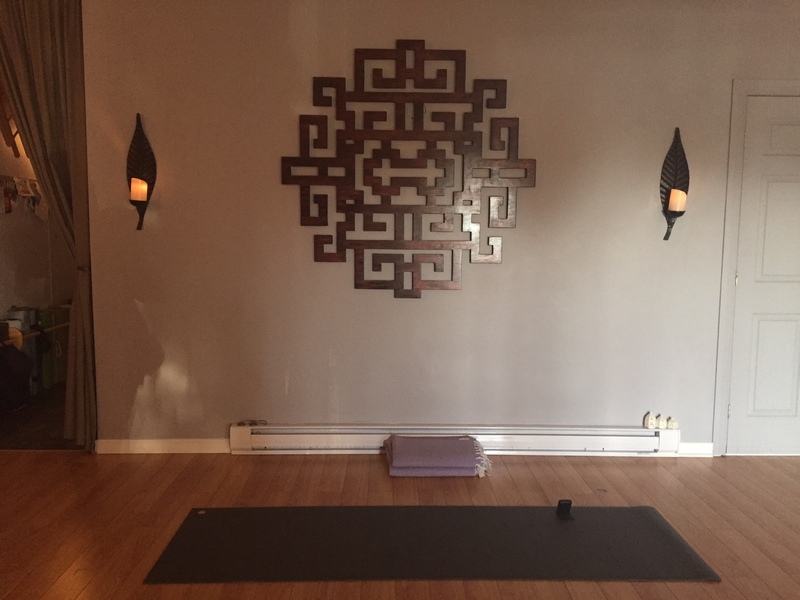 Yoga for Stress Relief: This class is one hour and open to all levels. The mirrors are covered, I assume to avoid being distracted by our reflections and focus on our practice. A few poses pushed my comfort zone (I’ve been practicing for about 7 years) but it wasn’t too strenuous and alternative poses were offered for inclusiveness. The focus was on relaxing our bodies and minds as we worked through hip opening and twisting postures. Carly did a great job at reminding us to correct common mistakes like to lower our shoulders or make sure our hips were aligned. Her voice is sing-songy like Disney character (which I found calming!). My favourite part is the guided meditation at the end of class before savasana (corpse pose). It really allowed me to clear my head and release any added weight from a long day. Hip Hop Cardio: A full hour of a lot of jumping up and down. Ladies, make sure you’re wearing a good bra. I used to dance and teach hip hop so this class especially peaked my interest. With a lot of fun songs and Jesse’s enthusiasm, I was not disappointed. It’s a hip hop version of Zumba (swap out salsa music for the beats of Nicki Minaj and Busta Rhymes). And you don’t need dance experience! There was a range of us in her class – some in their 50s and some in their 20s. It’s a great way to get moving and lots of fun. I suggest trying a class with a friend to encourage low inhibitions. Keep up with Life Yoga: Follow the team on Facebook, Instagram and Twitter. Check out the scheduled classes here. You can also book in advance online! < Previous Win a Pair of Tickets to YGK Craft Beer Fest at Fort Henry!